Is a high-flying career in the skies for you? If so, Aer Lingus is hiring! 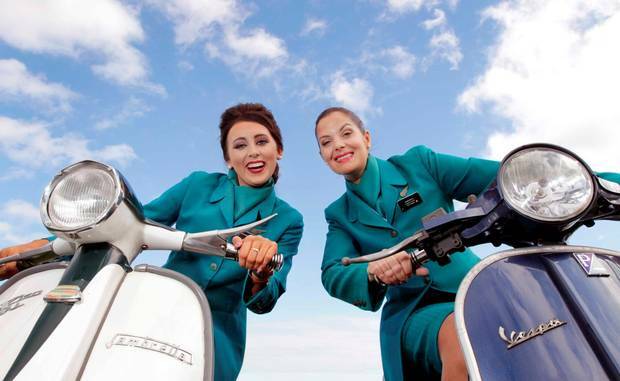 The 2017 Cabin Crew recruitment campaign for the company’s Dublin base is now open for applications. Closing date for applications is 21st October. Do you have excellent communication and interpersonal skills? Are you a whizz at customer service and personal grooming? Live and work in the Republic of Ireland. Be fluent in spoken and written English Hold a valid EEA passport. Have 12 months experience in customer service/sales roles. Have no tattoos/visible piercings that are visible in uniform. Be flexible to work shifts, unsociable hours, weekends etc. A second European language is listed as a desirable criteria, as is previous cabin crew experience and an EASA Attestation of Initial Safety Training. A verifiable five-year background check. Between 5‘2″- 6‘2″ in height, with weight-height in proportion. Ability to reach up to 6‘3″ Ability to stand for long periods of time (at least four hours) Ability to lift objects up to 18kgs and pull a beverage cart of 100kgs. Ability to swim 25m unaided and tread water for at least one minute. Complete a medical questionnaire and medical examination. Visual acuity of 6/9 (aided or unaided). Successful candidates will attend a five-week, pre-selection cabin crew training course at the Aer Lingus Training Academy in Dublin Airport. Full details and application process from Aer Lingus here.